Tell us about it and we'll post your testimonial here. "We used Living Sky Lomousine for our wedding and were incrediably pleased with there service. They were prompt and got us around the whole day on time despite the ugly weather. If any one is looking for a great time with no hassle this is the service for you!!" "I am extremely impressed with the quality of service you provide. Professional, flexible, and a great driver! I recommend this limo service for everyone. Thanks again, and we will see you soon!!!" "Had a great time ,you made our daughters dream come true. Beyonce and a LIMO. Thank You"
"I used this limo service for my sister's stagette and she had the time of her life, along with the rest of her friends. I would defenatly recommend living skies to anyone." "Hi James, thanks for bringing these sweet rides to Saskatoon and for getting us to replace your window, we had a blast on the stag the limo made the night. Guaranteed good times." "I absolutely recommend this Limo service. The Limo was gorgeous and James went above and beyond for our wedding - professional, friendly and took us many places limo's wouldn't go! You made our day absolutely perfect! Thank you!!!" "I used this company for my birthday and was absolutly amazed!! The driver was very courteous and nice! He would actually talk to us and joke around with us. There was not one complaint the whole night!! Will definately use this company again! :)"
"i used living skies limousine for my birthday party and it was amazing i would recommend it to anyone! the chauffer was so polite the limo was amazing all togther. " "We had an awsome time on our wedding day! James and the LivingSky Limo company was fantastic! I would recommend them to anyone looking for a great way to get around. They were very accomodating and professional! Good Job! :)"
""I heard about this company when i was twelve and i used it for my thirdteenth birthday and the expirience was amazing thank you for the amazing experience, I am sure that i'm going to use it again :) :) :) :)."" "I used Living Skies Limousine for my sisters Staggette. The service was excellent! It made planning a Staggette so easy, we had the flexibility to go and do whatever we felt like doing. 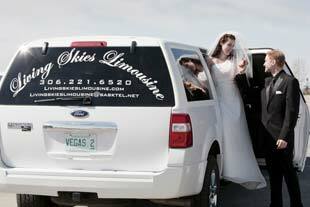 I would recomend this limo service to any bridal party that is trying to plan the best staggette ever!" 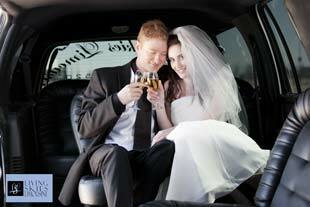 "We used Living Skies Limousines for our wedding....it was great! It was one of the first things I booked for our wedding and the process was so easy. On the big day it was fun driving around for pictures with our wedding party...our driver James was great! The lights inside and music was awesome as was the champagne! " "The most perfect service you can ever ask for! Went above and beyond the expectations! I recommend Living Skies Limousine to EVERY one!" "Hello James! WOW! I am sooo friggen happy right now! I'm still on a cloud from last nite's big event with my family. They were freaked out (in a wonderful way) by the size of the limo and the very attentive and professional demeanour of your finest driver, Eric. He is the best driver i've ever encountered in my many many purchases of limo services over the years. We were all so pleased with his easy going attitude, smiles and willingness to cater to us. We all loved him. I must thank you for sending him to us. I also must pay my deepest gratitudes to you for giving me a wonderful deal. I will highly recommend you and your company each and every chance I get, as well as for others to put in a request for Eric when seeking out your services. Once again, you made me very happy and I hope to do business with you again in the very near future"
"A friend of mine and I rented the limo for our Daughter's 10th Birthdays! It was a blast, the girls felt like celebrities! James treated us fantastic! Thanks again :)"
"I want to say THANK YOU. The limo made the stagette. Our driver Gary was amazing. Price was fair. I would highly recommend this limo company. Limos were super clean. Lots of room. Thanks again and if I was to book a limo again this would be the company I will book with Thanks again from all the girls of Casey's stagette"
"All I can say is WOW! The service was incredible! They came early - were SO professional, gave us a blast - and the price was absolutely shocking for the service we received - I could not believe that we received all those drinks and the limo for such a low price! We are recommending them to everyone and going to book them regularly at that rate. The limo was beautiful, spotless, like brand new! We just had so much fun - I think everyone should try this at least once and this company would be the one I would go with. What an amazing time!" "We had such a great experience with your limo service and we loved our driver. It really made our celebration special. Thank you!" "I booked Living Skies for my friend's stagette and we had an absolute blast! Our driver, Eric, was on time, super friendly, and very accommodating when we needed "rest stops." The limo (Sassy 3) was amazing - clean, comfortable, great lights, great sound system - everything was top notch. I made my booking through James, who was awesome because he answered my hundreds of questions in a very timely fashion and always with the utmost professionalism. I will definitely be going back to Living Skies for all my future limo needs!!" "Just a Big Thank You again from our Family. It was Fun." "James, Thank you for your service. Your driver Gary was great, its a night we will never forgot. " "Gary. He was marvelous and treated our daughters very well! Thank you again and look forward to next year. Best Regards, Sheldon"
"Thank you James! We had such a great evening! The limo ride was wonderful and Gary our driver was great!" "I've used Living Skies Limousine a couple times now, once for my wife's birthday and once for our wedding and each time they've been excellent. They're punctual with great, friendly service and they have gone above and beyond each time to ensure our experience was a memorable one. I will never use any other limo company, these guys are THAT good!" "James, I just wanted to say thank you for your service! It was absolutely phenomenal and our driver ( I think his name was Eric) couldn't have been a better guy. I have been talking you guys up ever since and I plan to continue. Expect more business from me in the future! Thanks again! Adam,"
"We rented a limo for my mom's 85th birthday to take her to Maroon 5. Service was beyond expectation! The driver was great, she crawled into the snow to get the best picture she could of our group. We had a blast enjoying the ride through the traffic jam. Best trip to a concert...ever! Lynn"
"Good morning, We used your limo services on Sat night in Saskatoon, Rod was our driver. I wanted to let you know what a fabulous night we had!!! Rod went above and beyond his duties as a driver...he was excellent! We will be recommending your services to everyone! Thank you so much! " "Hi James, Just a quick note to say that Adam was amazing last night - he went above and beyond and his service was out of this world. As always, it was a pleasure and we look forward to using your services again and again. Cathy "
"James, just wanted to thank Living Skies from myself and my wife for the amazing service we got on June 13th for our wedding. Our driver Kelly went above and beyond in every possible way, even going as far as assisting the photographer in getting just the right light/setup for her shots. Your business lived up to your promise in every way and we will recommend Living skies to anyone who asks! Thanks again! Tyler and Sam Gorrell "
"Thank you for the wonderful service, the wedding went very well, thank you for making it that much easier. Have a wonderful day, God Bless"
"We also wanted to say thank you again and thank you to Gary who is simply the best!! Have a great day, Alyssa Office Manager "
"Hi James, Just a quick note to thank you for the Champagne and the excellent service for our booking last Sat. Kelly was great and all of our staff had great fun!! Happy Holidays! " "Thank you so much!!!! I posted a few pics on my Facebook page and gave a shout out to your company. It was everything I hoped for and more. Adam was the best! " "I just wanted to thank you guys for the excellent service! Gary was our driver and he was excellent! We all had so much fun with him:) He made the night and experience even better! " "On behalf of our hockey club we want to say how much our kids and coaches enjoyed their limo ride! After a very intense game that ended in a victory, the limo ride was the icing on the cake! Our driver was awesome! " "James, We just wanted to say thank you for the wonderful service your company provided for us on our wedding day. Adam is an amazing driver! We really appreciated his helpfulness, patience and wonderful personality. We have been raving about the service and we will promote your company every chance we get! Thank you again! " "Your service was fantastic!!!! " "Again, everyone had an awesome time and the service was great! In Song & In Spirit, Rich "
"James, really appreciated the ease of booking with you for the Who concert. Shaun gave us excellent service and the vehicles were perfect. We are looking forward to another opportunity! Thanks to both you and Shaun. " "A big shout out to Living Skies Limousine for taking great care of us getting to and from Garth Brooks!! With cold beers too!! Only way to do it!! Thank you Phyl!!!!" "We rented the trolley tour for my sister in law stagette, we all had a blast! We had a wonderful driver and fantastic service. Would highly recommend living skies limo!! Thanks for the great night. " "Gary was the bomb! Would recommend to anyone! " "James, your limo service was absolutely wonderful. Thank you very much! " "I am chairperson for the Saskatoon Fire Fighters Ladies Gala. 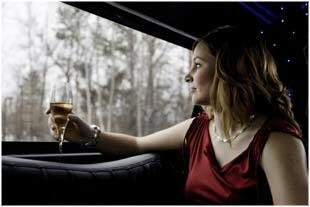 For 4 years Living Skies Limousine has been providing the early bird prize, a limousine ride to and from the Gala. I have had nothing but sheers and applause from the winners about the service they received. They were treated like celebrities and brag about the incredible experience. These comments came to me 4 years in a row. Thank you Living Skies for the fantastic service you provided!" "What can I say except WOW! Our driver Kelly, what a stand up gentleman! From the moment he picked us up to the time he dropped us off he was an incredibly helpful, fun and also professional man! He made sure to help us out of the car and wiped off the step to keep us high-heeled ladies from slipping and falling. We had such a blast at the bachelorette in the back of the car!! I would highly recommend Living Skies Limousine to all my friends and family for all events in their lives. Thank you! Thank you! Thank you!" "Hi Mitch Thank you very much for the wonderful service and opportunity today. You sure made everyone's day!! Sounds like a few of the other kids might be planning the same for their birthdays too so hopefully you see some more business out of it too. Thanks again. It was awesome. 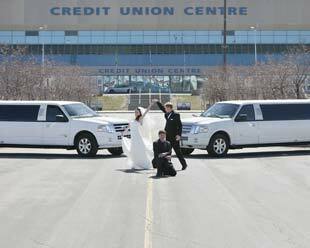 Lauren "
"Thank you guys very much, I had 3 of your limos booked last weekend for our staff to take us to the rush game. All of our staff said you guys made the evening, from the easy transportation to and from the game, and the outstanding drivers you have. Once again thank you very much and look forward to dealing with you guys in the near future"
"Good Morning, Tyler and I just wanted to say thank you for providing your services to our wedding on Saturday. It was so easy and convenient for getting around, everything ran so smoothly and was on time. Your driver was very accommodating and went wherever the photographer asked. I was so impressed with how professional and friendly she was. The bus was a perfect choice, as it was easy for our bridal party to get in and out of. We even include our grandmothers, who have limited mobility, and it was so nice for getting them to and from the ceremony. We will definitely recommend your company to our friends and family, and look to you again for any future services we require. We had such a good experience! Thanks again. Kendra & Tyler"
"Just want to thank you again for everything. We really enjoyed our experience on Saturday. Our driver Kelly was great; he was very professional and was a lot of fun!! I would highly recommend him to any friends or family for their needs with LS Limo. " "Good morning James. Thank you so very much for your excellent, excellent service last night. You have allowed me to thank my colleagues with class and elegance. Much appreciated!" "Living Skies was an excellent choice for our summer wedding in Elbow, SK! The pre-planning all went smoothly with the Living Skies team communicating very well up to the wedding date. We had a wedding party of 12 and fit very comfortably in the 20 seater Sassy 3. Our driver, Kelly, was on time (which was awesome for being 1.5 hours out of the city), helpful, polite and totally willing to put up with our wedding party taking him all around Saskatchewan back roads. Thanks so much for making our day that much better!" "Hello James, Christmas is coming again. 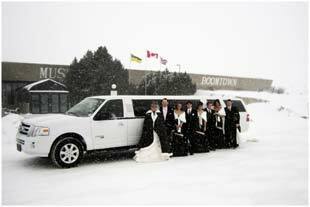 We have such a great time every year with our staff in one of your decked out limousines. Your professionalism and customer service go above and beyond every year with our staff and that is why we continue to book with you for all of our limo needs. I would highly recommend James and his staff for any company functions year round but especially at Christmas. Thanks again James. Gord, Refresh Inn & Suites"
"By the way, we stopped in at the Black Top Diner out by the Petrofka bridge on the way out to Blaine Lake. Our Mom and Dad know Michael, the owner, very well and when we told him what we were doing for Mom's birthday, he was very excited for us. You come highly recommended! " "Review -- 5 stars -- Facebook This is a rating only review, no content available. Response Hello Erin! Thank you for rating us, we’re glad you enjoyed the ride! " "Thank you so much for the awesome ride :) all of my friends had a great time and we will definitely be recommending your services! " "Kristyn Insley I have been using living skies for the last few years for all of our corporate and personal events! We always request Gary; he is very professional and friendly! Always a great experience!!! --"
"A large group of friends and myself took living skies limo bus out for a night on the town just last night and as expected had a fantastic time! 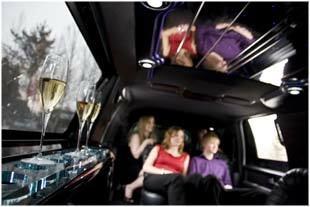 The whole experience went very smoothly and everyone that I spoke with while booking our limo was extremely helpful. I would 100% recommend booking with them to anyone looking to have a great night out! Thank you living skies, we hope to be seeing you next year for yet another successful birthday!" "Hi there! We rented a limo on Saturday night to Romancing the Vine. We were picked up at Edge Family Law and taken to the Toyota building. We will definitely book with you again. From follow up calls, to how easy your website was to navigate/make payment on - it was exceptional service and an all around great experience. The cherry on top was that our driver was a gem. Got us there in one piece on terrible roads, drove us around, put up with ridiculously loud music, and was just such a great guy. " "Good evening Thanks so much! It was awesome!" " We had a great time and the service was fantastic. Haddie is definitely an asset to your company. I did forget to tip her but we've rectified that now. We won't hesitate to call you guys again as the service was outstanding from the very first day we contacted you. Well done. And thank you!" "Hello James! Thank-you! Heather was fantastic! " "James was awesome!!! Thanks so much!! Audrey "
"Livings skies SAVED US! We had a party bus booked with another company to pick us up after supper on my sisters staggette and they didn’t show. I called living skies at 9pm! And they came and picked us up within the hour. Living skies and Our driver Mitch MADE our night. Thank you guys soooooooo much! " "Comments: WOW! WOW! WOW! For 6 months I anticipated our Living Skies Limousine and first party bus experience and it was beyond what I had even imagined. I think James (our amazing driver) was as big a hit with our guests as the incredible party bus he was driving. Everyone had such an incredible time. I can't not express enough thanks to James for his professionalism, incredibly friendly & fun attitude and for all of the accommodations that made this experience so awesome. Thank you so much Living Skies Limousine for making my husband's 40th birthday that much more special and especially stylish! We looked forward to booking again! ~ Desiree/Saskatoon "
"Good morning, I want to thank Living Skies Limo for the amazing time my daughter had for her 16th Birthday! You have been so easy to deal with, friendly, prompt, courteous and so accommodating. You were the best price with the best service and I am more than happy recommend your company to anyone I know who is looking for the best treatment! Thank you again. Lisa Tahn 5*"
"We rented a party bus for my daughter’s wedding on July 21, 2018. I can’t say enough about the excellent service we got! James was awesome! Very highly rerecommended! " "we were very satisfied with the service and the driver was excellent"
"Every year our early bird draw is a Livingskies limousine to and from the Gala. Once again the ladies raved about the limousine ride. It was great to see their smiles and hear them giggle when they told me about the driver holding the door open for the them. Thank you so much! You made the limousine ride special and a fond memory." "My time with living skies limousine was amazing. I was a bit nervous at first because I wanted everyone to have a good time and I didn't know what to expect but it could not have been more perfect! The lights and sound system were great, our driver Gary was amazing and it was a great time overall! Thank you living skies limousine for making my birthday perfect and thank you Gary for being so amazing! Prices are very fair and I will definitely be booking with them again when I need a limo! " "e driver and attendant were very accommodating . Me and my elderly mother with dementia ended up being the only ones on the tour as 21 other people did not show up. It was strange to have everything to ourselves although that was alright for us as I had to speak up and explain things to my mother . Thank you for an enjoyable time"
"What a wonderful night, the driver Sherri was incredible, her tour and the party limousine made the light tour so relaxing!! Christmas fantastic!! Thank you, this event with Living Skies Limousines will be part of our holiday traditions!! Thank you again! "